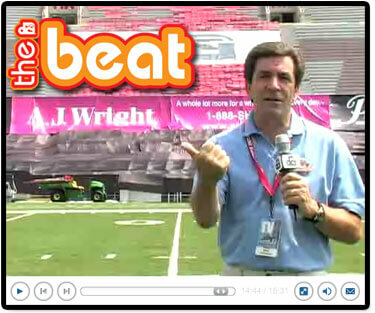 In the final installment of "The Beat" for the 2006 season, get a behind-the-scenes tour from the DCI TV crew. Learn about the logistics in putting together the DCI Cinema Live theater event and hop on the TV truck and find out how DCI TV utilizes 92 television screens in the control room to bring the World Championships to drum corps fans across the nation. Also, a brief look at DCI's recent announcement about moving World Championships and DCI headquarters to Indianapolis in 2008. All of this and much more. Choose your tempo, and get with The Beat!